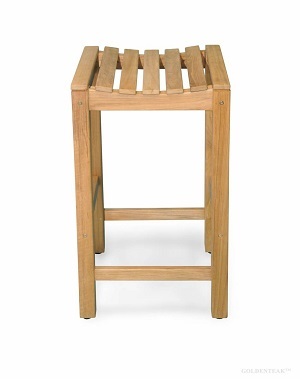 Our Solid Teak Bar Stool has a gently curved seat and slats that are rounded at the edges and a footrest that makes sitting comfortable. 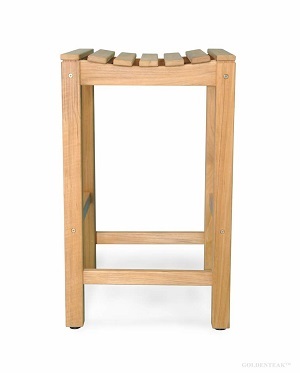 Mortise and tenon joinery for strength and durability. 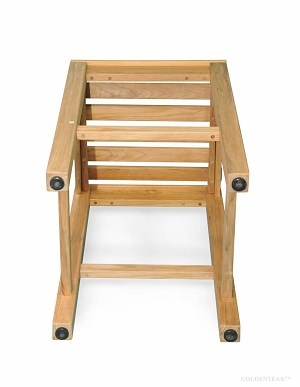 Simple but Elegant Teak Bar Stool for outdoor or indoor use.This teak bar chair is a great addition to any home or patio entertainment.